Sunday September 2, 2018 - Deputy President William Ruto has assured Kenyans that the war against corruption spearheaded by President Uhuru Kenyatta is not targeting anyone or any community. This is after his allies in Rift Valley raised concerns indicating that the war on graft was meant to victimise them, urging the Director of Public Prosecutions and the DCI to apply the law uniformly when dealing with persons implicated in corrupt deals. 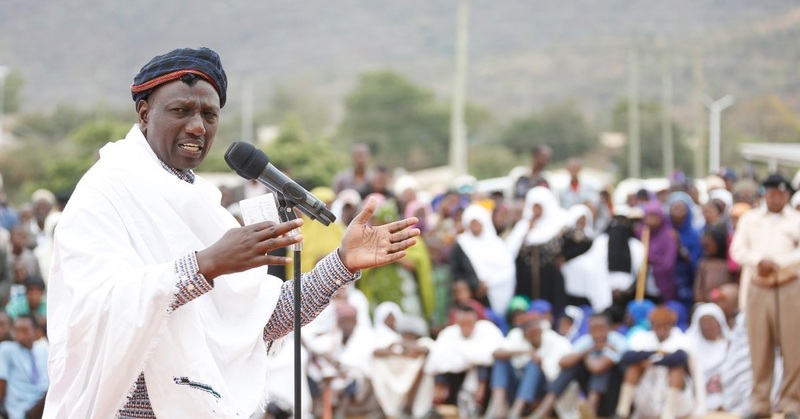 Speaking during the 29th edition of Maralal International Camel Derby in Samburu County yesterday, Ruto was categorical that no community would be spared or victimised in efforts to eliminate the vice. “It is in line with our Constitution," Ruto said.